Nirikshak Posts. Apply online through official website of www.upsssc.gov.in from 31-01-2019 to 19-02-2019. Objective type OMR based or online exam will be conducted for this UPSSSC Supply Inspector recruitment 2019. 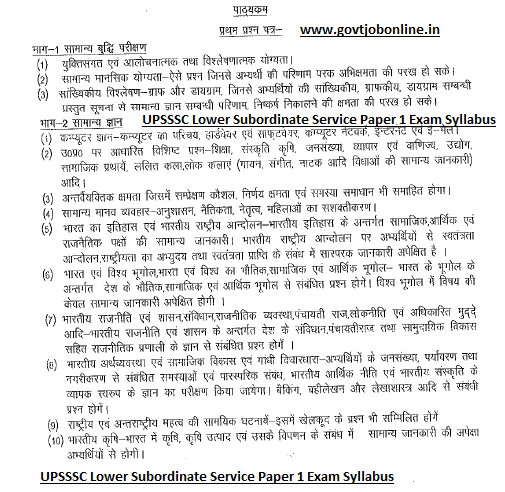 UPSSSC Exam pattern and syllabus, selection process, available vacancies and other information is given below. Application online available from 31-01-2019. Online form submission last date is 19-02-2019. 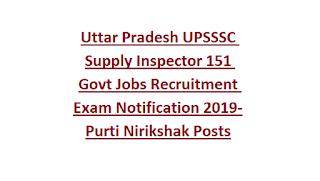 There are total 151 posts are in this UPSSSC Purti Nirikshak Vacancy recruitment 2019. Age limits are 18-40 years as on 01-07-2019 for General Candidates and for others 18-45 years. Degree qualified candidates are eligible to apply. Candidates selection is on basis of written exam marks merit in personal interview followed by documents verification. An objective type online or OMR based exam will be conducted for these Uttar Pradesh SSSC Purti Nirikshak vacancies. 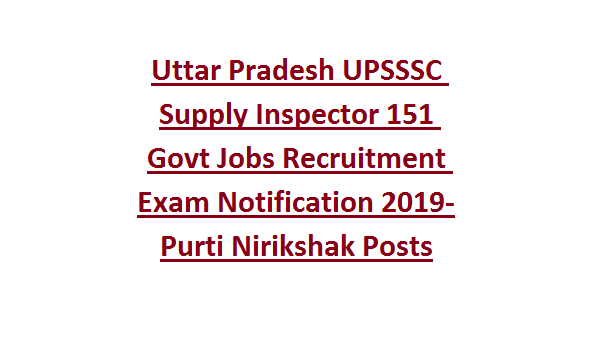 Online applications only accepted for these Purti Inspector jobs of UPSSSC recruitment from 31-01-2019 to 19-02-2019. Official website to online form submission is www.upsssc.gov.in. Exam Pattern and Syllabus, Admit Card release date, exam result, answer key and other details are updated in this website only.